Over 30 million Americans go fishing on a regular basis. Many anglers prefer to use artificial lures to live bait, including those who participate in fishing competitions where live bait is often prohibited. While the quality of artificial lures has increased over the years, it has not really added a lot of assistance to the angler. Econet has set out to change that with the Eco-Popper. 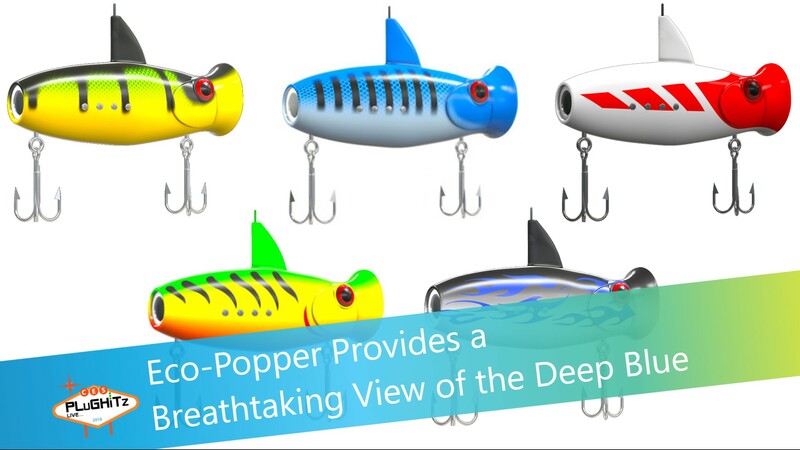 Unlike traditional lures, the Eco-Popper has a computer built-in, allowing it to send information back to the angler. Combined with the integrated camera, the device has the ability to send images and video back to the surface, allowing the user to see exactly what is happening underwater. While in range, the device can even send live video for faster decision-making. Other sensors allow for the analysis of the water itself. You can tell the temperature and salinity of the water, so you can know if the fish you are looking for would be currently avoiding the area for those reasons. After the battle, you can even share the information you collected through the platform, or share the photos and videos online. Various models of the Eco-Popper are available for pre-order.